With GDPR on the way, it is more important than ever for companies to protect themselves from online attacks via a 3rd party in their supply chain. Many companies have professional relationships with 3rd parties in their supply chain / value chain that involve granting them access to systems and sensitive data. This, combined with increased levels of sophistication in hacking tools and strategies, plus increased oversight from regulators, and potentially ‘weak link’ companies in terms of cyber-security now make the risk of supply chain attack very real. Examples of high-visibility supply chain attacks where a 3rd party was implicated or blamed include the hack back in September of US Credit Rating Company Equifax when 143 million customer details were thought to be have been stolen, including a possible 44 million from UK customers. Equifax was reported to have blamed the breach on a flaw in outside software it was using, and on a malicious download link on its website to another vendor. Also, the much publicised, so-called ‘Paradise Papers’ leak of 13 million files allegedly giving details of the offshore tax havens and tax avoidance schemes used by the rich and famous, and by governments and corporations was blamed on offshore legal firm Appleby. A Ponemon Institute survey has revealed that 56 % of organizations have had a breach that was actually caused by one of their vendors, and although the average number of 3rd parties with access to sensitive information at each organization has increased from 378 to 471, only 35 % of companies have a list of all the third parties they are sharing sensitive information with. Without even knowing and being able to monitor or check on the details of the relationship that an organisation has a data sharing arrangement with, it is obviously a risky situation that could make detection of a breach very difficult. Rather than being single entities, even small companies / organisations are now digital ecosystems where many things are bought-in or outsourced e.g. hardware, software, and services such as cloud provider services (in place on data centres). This means that there are many more potentially weak links in the value / supply chain of a company that breaches could come from. With GDPR coming in May 2018, for example, liability and responsibility will extend to all organisations that touch the personal data of the subject / subjects. This means that companies / organisations will need to take a close interest in all parts of the data storage and processing chain to ensure compliance all the way along, within the organisation, and in the choosing and management of 3rd party relationships. Also, there will need to be privacy by design, and the software, systems and processes of companies must be designed around compliance with the principles of data protection. Companies and organisations will need to ensure that 3rd party companies e.g. cloud suppliers, are themselves compliant, and building-in encryption. Many professional supply-side services companies have shown themselves to be vulnerable, and are often a way that attackers use to reach their final goal e.g. the Verizon breach caused by Nice Systems (customer service analytics), and the Deloitte hack in September where hackers were able to access emails and confidential plans of some of its blue-chip clients. Many security commentators now believe that a new approach is needed to manage 3rd part risk effectively across a company’s digital ecosystem. This means really understanding where risks lie within that system, tailoring controls according to those risks, and collaborating with 3rd parties to remediate and mitigate those risks. Identification of every vendor, and which of them have access to sensitive data. Evaluation of the security and privacy policies of all suppliers. Introducing service level agreements with suppliers that show their commitment to security. Asking vendors to do self-assessments, allow customer visits and audits, or purchase cyber insurance (most likely to work for larger customers). Checking security score ratings for vendors e.g. through BitSight Technologies or SecurityScorecard. Looking at vendors' internal policies and processes. consumer laptops and other HP products after a keylogger was found to have been hidden in a driver. As the name suggests a keylogger / keystroke-logger usually refers to covert spying / monitoring software that tracks every key that you strike on your keyboard. This software is usually employed with malicious intent e.g. to collect account information, credit card numbers, user-names, passwords, and other private data. In the case of the recent HP keylogger discovery, however, the offending versions of Synaptics touchpad drivers were actually intended to be to be used for debugging and aren’t believed to have been used with any malicious intent. The “debug trace" is actually a legitimate tool used by software companies to trace a problem / bug. The security threat is, in this case, a potential threat which could be exploited by a hacker, who could potentially track every letter a laptop user typed. 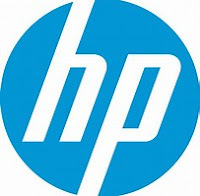 HP has stressed that there has been no recorded access to customer data as a result of the issue. The discovery of the potentially serious threat was made by a computer programmer known as ‘Myng’ back in November, who discovered the issue when trying to control the backlighting of an HP keyboard. The programmer noticed a format string for a keylogger when looking through the keyboard driver. At this point, he contacted HP about his discovery. Strangely, this is not the first time such a discovery has been made about drivers installed in HP products. Back in May, a keylogger was discovered in Synaptics subsidiary Conexant's audio drivers, which are installed in HP Laptops. HP actually issued a fix for this latest “potential, local loss of confidentiality” issue back on 7th November (updated 12th December). If your business uses HP Commercial Notebooks, Mobile Thin Clients, Mobile Workstations, or if you use an HP Consumer Notebook, the company has provided software updates for Synaptics touchpad drivers listed by model (a long list) on the support section of its website here: https://support.hp.com/us-en/document/c05827409 . This story illustrates how software development needs to take into account all known potentially malicious angles. It also helps to illustrate how we may all be facing risks from as yet undiscovered bugs and vulnerabilities in commercial software that we are already using. The importance of keeping up to date with patches and software updates cannot be understated. It is worth remembering that 9 out of 10 businesses are hacked through un-patched vulnerabilities, that hackers can attack nine out of 10 businesses with exploits that are more than three years old, and that 60% of companies experience successful attacks targeting devices for which a patch has actually been available for 10 or more years. 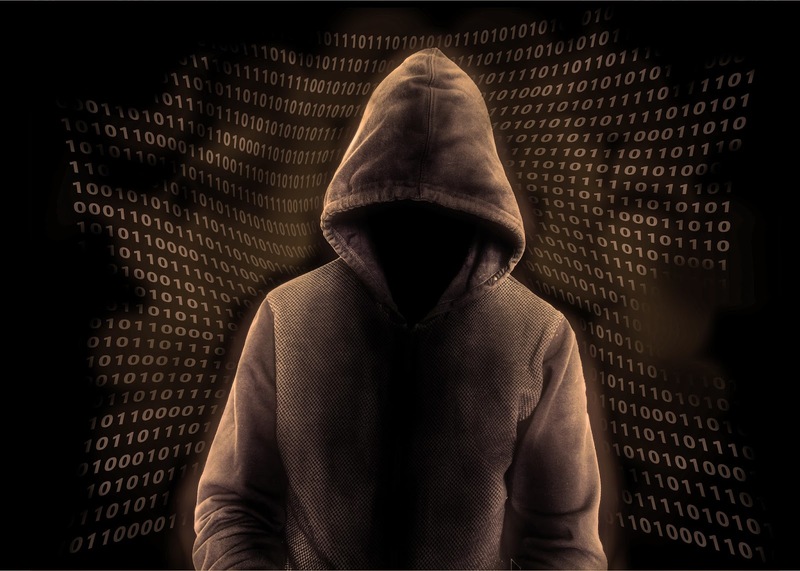 t has become the victim of a highly professional attack with sophisticated social engineering that has resulted in the theft of bitcoin to an estimated value of $80m. The 4,700 bitcoin(s) were reported stolen in a hack of the NiceHash digital currency marketplace’s payment system last week. Users of NiceHash were advised to change online passwords, and operations in the NiceHash marketplace were halted last Wednesday. NiceHash’s chief executive Marko Kobal is reported to have said that attackers (probably based outside the European Union) accessed the company's systems at 00:18 GMT, and by 03:37 they had begun stealing Bitcoin. The exact nature of the hack, however, has not yet been released. NiceHash is a digital currency marketplace with an estimated 750,000 registered users that matches people looking to sell processing time on their computers with users who are willing to pay to use it to mine for new bitcoin. Bitcoin miners essentially use special software to solve maths problems, and are issued a certain number of bitcoins in exchange. This provides a smart way to issue bitcoins, and creates an incentive for more people to mine. NiceHash’s social media accounts experienced a rise in the number of posts by bitcoin owners after it became apparent that there were problems with the website. It has been reported that NiceHash are working on a solution to reimburse all those affected by the hack. There have been dozens of reported attacks on digital currency exchanges over the last 6 years, such as the one that led to the collapse of the world’s largest bitcoin market Mt. Gox back in 2014. It is estimated that the many attacks have resulted in the theft of 980,000+ bitcoins which equates to more than $15 billion value at current exchange rates. A huge surge in the value of bitcoin from $1,000 per bitcoin at the beginning of the year to around $15,000 now, coupled with the accompanying rise in the number of bitcoins contained within digital wallets have attracted the attention of hackers. The criminals have found that they are able to take advantage of exchanges and firms in the young crypto-currency industry sector that may not be secure against sophisticated attacks by criminal groups. Those individuals and businesses involved in bitcoin speculation, investing and mining should therefore make sure that they get the best possible advice and help, and crypto-currency firms and exchanges need to invest in the most up to date systems and practices to ensure protection for their customers and users. most companies lack a strong data management culture they will be considering a number of ‘carrot and stick’ motivators to bring about the changes needed to help them to implement and comply with GDPR. 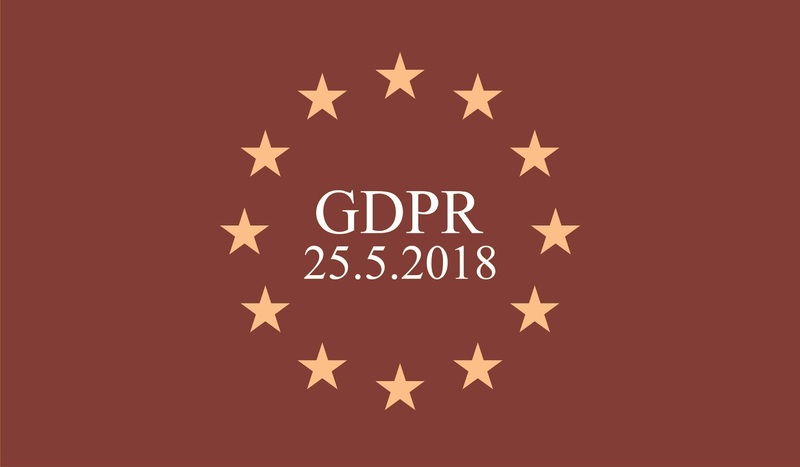 The EU’s General Data Protection Regulation (GDPR) will come into force on 25th May 2018 and is a regulation designed to set the guidelines going forward for the collection and processing of personal identity information by companies and organisations. The regulation has been designed to make companies take the issue of data protection more seriously, to strengthen the rights that EU citizens have over their data, and to ensure that businesses and other organisations are more transparent in how they store data. The challenge, according to the Veritas report, which took into account the views of 900 decision-makers across 8 countries, is that even though 31% of those surveyed think their enterprise is already GDPR compliant, only 2% of respondents actually appear to be compliant. Also, 9 out of 10 companies lack the data management culture that could ensure a greater likelihood of quickly and effectively reaching high levels of GDPR compliance. 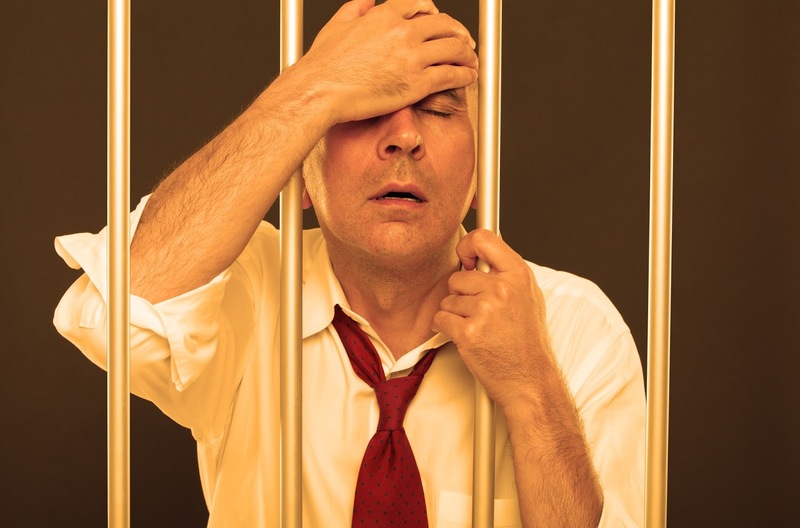 This challenge, coupled with the limited amount of time before GDPR comes into force is the reason why companies and organisations of all kinds are looking at a variety of carrot and stick methods to drive the cultural and organisational changes needed to get to grips with GDPR going forward. For example, nearly half of the companies surveyed by Veritas plan to drive the change by adding compliance to employee contracts (47%). Other planned drivers include implementing disciplinary action if the regulation is disobeyed (41%) and educating employees about the benefits of GDPR (40%). Despite the obvious penalties and other problems that companies face with non-compliance and data breaches, 95% of decision-makers expected a positive outcome from compliance, and 92% thought they would benefit from having better data hygiene. This more positive attitude towards the changes that will be necessary for GDPR compliance was also reflected in the views of the 68% of respondents in the Veritas survey who said compliance would give them a better insight into their business, which could help to improve the customer experience, and that compliance would save money. The Introduction of GDPR is a little over 5 months away, and this in itself is a motivator for many companies and organisations now taking a serious look at exactly how they intend to make the changes they need to be compliant, and / or to re-visit the plans that they have already made to achieve compliance. 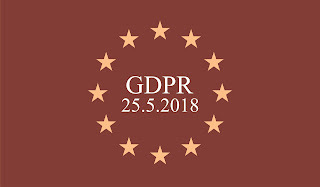 GDPR will have a big impact on the culture of companies and organisations and, based on the results of the Veritas report, more education is needed on the tools, processes and policies to support information governance strategies that are necessary to comply with the GDPR requirements. Data management commentators suggest that companies should adopt an automated, classification-based, policy-driven approach to GDPR so that they can meet the regulatory demands within the short time frame available. Many companies and organisations are now starting to see the positive outcomes and benefits that GDPR compliance will bring such as increased revenues, resulting from improved customer loyalty, heightened brand reputation, and competitive differentiation in the market. There is also now a realisation that companies will prefer to have business relationships with GDPR compliant companies to help ensure their own compliance. following apparently negative comments that he made at an event about Facebook’s effects on society. While speaking at a Stanford Graduate School of Business event, Mr Palihapitiya surprised many listeners when he reportedly described his feelings of guilt about helping the company attract two billion users, and advised people take a "hard break" from social media because of it’s the short-term, dopamine-driven feedback loops that it provides. Mr Palihapitiya’s comments appear to echo those of founding president and billionaire Sean Parker, who said at an Axios event in Philadelphia back in November that the social media platform changes our relationship with society, and with each other, and is reported as saying that “God only knows what it’s doing to our children’s brains”. Mr Palihapitiya is reported as going so far as saying that the short-term signals that Facebook gives e.g. hearts, likes, and thumbs-up help Facebook users to get a kind of false perceived sense of perfection which is short-lived and “brittle” and equates to a kind of programming. Mr Palihapitiya also highlighted how the 10 million people in the US saw “divisive social and political messages” in Facebook adverts from Russia before and after the US presidential election, and how this had become a global problem that appeared to be fuelled by social media such as Facebook. 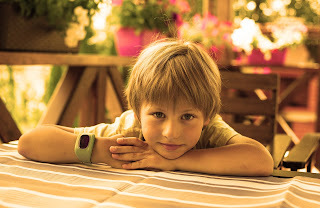 For businesses trying to sell goods and services to younger age groups, social media and the recommendations that friends make to each other on social media platforms can be important influences in e.g. Omni-channel marketing and sales. Facebook is also now an important tool for online paid advertising, and it is, therefore, in the interests of many businesses that people don’t take Mr Palihapitiya’s advice about taking a “hard break" from social media. From a human point of view, and particularly for parents, the comments of Mr Palihapitiya and Mr Parker may appear to be somewhat worrying and shocking. After the Net Neutrality regulations from 2015 were partially overturned in May 2017, Donald Trump’s new chair of the Federal Communications Commission (FCC) is pushing to end net neutrality after a final vote this month. In short, Net Neutrality means that ISPs (who control the data pipeline) treat everyone’s data (emails, digital audio files, and digital video) equally, whether it’s from companies or individuals, or whether its popular streamed TV episodes e.g. Netflix and Amazon being able to compete with established broadcasters. With Net Neutrality, ISPs don’t get to decide whose data is sent more quickly e.g. data from private individuals (more slowly), data from a business because it’s been paid for by a business (more quickly), and which sites get blocked or throttled e.g. the streamed delivery of a TV show from a competitor of the ISP. The idea of having an Open Internet means that individuals and organisations should be able to easily access and use all of its resources, and to ensure that this can happen, certain principles need to be adhered to e.g. open standards, transparency, no Internet censorship, low barriers to entry, and ‘Net Neutrality’. The idea is that Net Neutrality can help to enhance innovation and trade in a fair way. 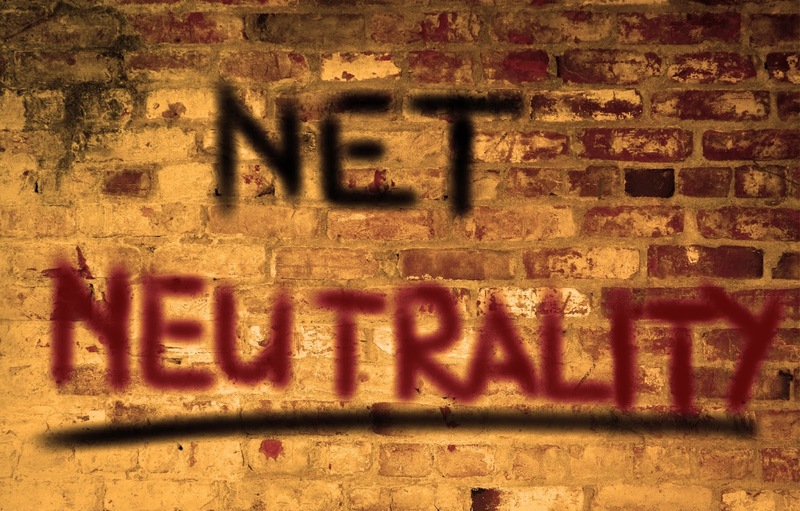 On 18th May the FCC voted two-to-one in support of a new proposal that would repeal the existing Net Neutrality regulations, and start a 90-day period of public comments before a final vote in December. The FCC, led by Ajit Pai also released a 210-page (pdf) document on 22nd November essentially outlining how a greater reliance on business competition and anti-trust laws to regulate ISP charges for their services plus a requirement to provide “transparency” to consumers could work as a replacement for the Net Neutrality regulations that are being overturned. For many, the push by the FCC to effectively end Net Neutrality has sparked concerns about a market-driven agenda which could mean that smaller or more diverse web services that won’t be protected for ISPs slowing their traffic or pricing them out of the market, and a situation where the scales are tipped in the favour of big telecoms providers such as AT&T and Verizon rather than other technology companies and social platforms. Some are of the opinion that the move by the FCC is also simply an attempt to loosen restrictions on other types of gatekeepers e.g. cable TV operators and telecoms companies to allow them to compete more fairly with new competitors that were created by changes in the market brought about by Net Neutrality. For example, it was not necessarily foreseen that Facebook would grow bigger than traditional media or that Amazon would move into films, thereby changing the nature of the market and requiring a new kind of regulation. One alarming aspect of this latest development is the allegation that, of the record number of the 23 million comments filed with the FCC as part of the public consultation process about possibly repealing the Net Neutrality regulation, many used faked or used stolen identities. This has prompted accusations that the comment process is corrupt. As well as attempting to remove Net Neutrality regulations, the FCC also appears to be trying to remove regulations around other restrictions on media ownership e.g. 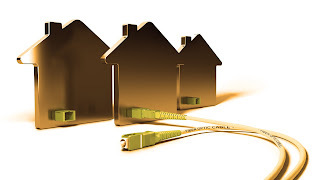 reducing / revising the cap on how many homes in the US a single broadcaster can reach, and allowing TV stations to use different frequency channels that count less against this overall cap on broadcasting reach. To allow fair competition and equal opportunities, there must be something that looks like an ‘equal playing field’ in place, and it often takes rules imposed by authorities outside an industry rather than just market forces and industry bodies to make sure that happens. There is an argument that the evolution of the online data market makes it complicated to regulate, but the removal of Net Neutrality looks likely to be bad news for smaller and more diverse companies and for those outside of the current mainstream media. There is also a danger here that market-driven and political agendas are being given greater value than the civic service or cultural good that an equal / neutral situation would allow. 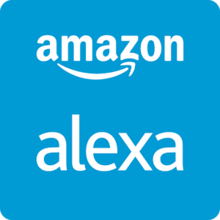 set on a role for Alexa in the workplace with its plans to launch Alexa for Business. The need to comply with a European Court Ruling has meant that senior UK police officers are to lose the power to self-authorise snooping on personal phone and web browsing records. This latest development is the upholding of a ruling (after an appeal) that was sent to the European Court of Justice (ECJ) in 2016. The original ruling dates back to 2015 and relates to a case brought by Labour Party deputy Tom Watson (and Brexit Secretary David Davies, who later dropped out). The original case challenged the legality of core parts of the Data Retention and Investigatory Powers Act (DRIPA), which was a predecessor to the Investigatory Powers Act (also known as the ‘Snooper’s Charter)’. In upholding the original ruling which went in favour of Tom Watson, the ECJ has said that the general and indiscriminate retention of data cannot be considered justified within a democratic society, and that a mass harvesting of data can only be lawful if it's underpinned by stringent safeguards or independent oversight, and can only be accepted as part of investigations into ‘serious’ crime and terrorism. In short, the upholding of the original verdict means that The Investigatory Powers Act will need to be changed to align it with the ECJ ruling. Every year, there are 250,000 requests from police agencies and investigating public bodies to access personal communications data. Under current rules, senior authority figures such as police superintendents, inspectors, or similarly high ranking officials in the Department of Work and Pensions and Revenue and Customs can self-authorise data these harvesting requests. Under the new ruling, harvesting of data requests will only be permitted in cases that potentially carry prison sentences of six months or more, and communication requests will only be authorised by a newly created Office for Communications Data Authorisation which will be overseen by the investigatory powers commissioner Lord Justice Fulford. The change in the law will also mean that agencies won’t be able to collect data for things like collection of taxes or public health reports. Although senior police will no longer be able to self-authorise access to our phone and web browsing records, the new rules won’t apply UK's spy agencies e.g. GCHQ, MI6 or MI5 retaining or acquiring data, because the UK government says that national security is outside the scope of EU law. The definition of ‘serious crime’ is too broad and vague, appears to be window dressing, and fails to provide a robust system of independent oversight. Government proposals may not be enough to comply with European law. The government has launched a 7-week public consultation to collect feedback about its proposals. This is a time of flux and change where the UK is breaking away from the EU but is still affected by EU data laws, and is having to take account of EU laws and Regulations in its own Investigatory Powers Act (2016), with GDPR, and with trying to make the UK’s own law, the Data Protection Bill (DPB) is in line with GDPR. Where the Investigatory Power Act is concerned, it is has been in force in the UK for a year and legal challenges (mainly on our behalf), and raising awareness of what the law entails and gathering large support to oppose certain elements are some of the only routes we have to seek changes to it. National security is, of course, important, but so is privacy in a world where surveillance in all aspects of life is increasing. Some would say that if we’re doing nothing wrong we have nothing to fear, whereas others would say that this attitude simply makes it easy for hard-won freedoms and rights to be lost. For businesses, security and privacy are vitally important issues where data protection is concerned going forward, and much of the focus in the news has been on how customer and employee data can be protected in a GDPR-compliant way going forward. For many businesses this is a more pressing issue than changes to the Investigatory Powers Act, although this story is a reminder that big brother is still watching, hopefully on our behalf to protect us and our businesses rather than to snoop unnecessarily. Barclays bank has emailed its 290,000 online banking customers to say that it will no longer be offering Kaspersky Russian anti-virus because of information and news stories about possible security risks. Rumours and concerns about Kaspersky’s possible links with the Russian state are not confined to Barclays. Moscow-based software maker Kaspersky Lab, the largest Russian software agency operating in the UK, had its security products banned from U.S. government networks earlier this year and, back in July, security researchers claimed to have found a way to force the anti-virus product to assist snoops in stealing data from segmented networks (not connected to the wider internet). (printed in the Wall Street Journal) that a Vietnamese NSA contractor was hacked on his home computer by Russian spies via Kaspersky. The move by Barclays follows a warning in a letter by Director of the UK National Cyber Security Centre (NCSC), Ciaran Martin, to Whitehall chiefs that Russian software should be avoided in systems containing information concerning national security. Mr. Martin expressed fears about Russia itself as a cyber threat actor, and how Russian security software such as Kaspersky could be exploited by the Kremlin. The Barclays customers who received the emails informing them of the bank’s decision to drop the software had downloaded Kaspersky over the past decade as part of a 12-month free trial offered by the bank on its website. The fear is that at least some of the customers who downloaded the software are / were likely to be / have been individuals employed by the UK government and, therefore, may have been targeted by Russian spies (if the allegations about Kaspersky are to be believed). Barclays customers are able to end the Kaspersky subscription after their free trial. Actual publicised evidence of any state-sponsored wrong-doing by Kaspersky, or involvement with Russian intelligence agencies appears to be in very short supply. Some commentators have also pointed out that it may even have been the case that private company Kaspersky Lab’s product was compromised at some point without its knowledge or consent. Kaspersky has denied any inappropriate ties to any government, and has put warnings about its products in the west down to the company being caught in the middle of a geopolitical fight, and has expressed disappointment about the recent decision by Barclays. Warnings by the UK National Cyber Security Centre (NCSC) clearly need to be taken most seriously by those with links to government departments, but it is also important to factor in the context of a certain amount of paranoia and the recent focus in the media about Russia following allegations of interference in the US elections. In the case of Barclays, it has been stressed by officials that they are not saying that members of the public or companies should stop using Kaspersky products, which are used by about 400 million people globally. It would also not be a good idea to remove Kaspersky anti-virus from a computer without immediately putting a suitable alternative in place. Anti-virus still forms an important part of a company / organisation’s basic cyber defences and this, and other software should be kept up to date with patches and updates to enable evolving threats to be combated as part of a wider strategy. Apple is reported to be urgently working on a software update after Turkish developer Lemi Ergin publicly reported a simple but serious bug in its Mac Operating System. The bug was discovered in the most recent version of MacOS High Sierra. It has been reported that, by entering the username "root", and leaving the password field blank, and hitting the enter key several times, a user is granted unrestricted access to powerful administrator rights on the computer. Even though Ergin is credited with finding the bug (and has faced criticism for going public about it), it is reported to have actually been mentioned on an Apple support forum more than two weeks ago as a possible useful feature for troubleshooting rather than as a serious security threat. If a person were to access a computer using the flaw they could potentially read and change the files of other users on the same computer, or as superuser they could delete crucial files or install malware. 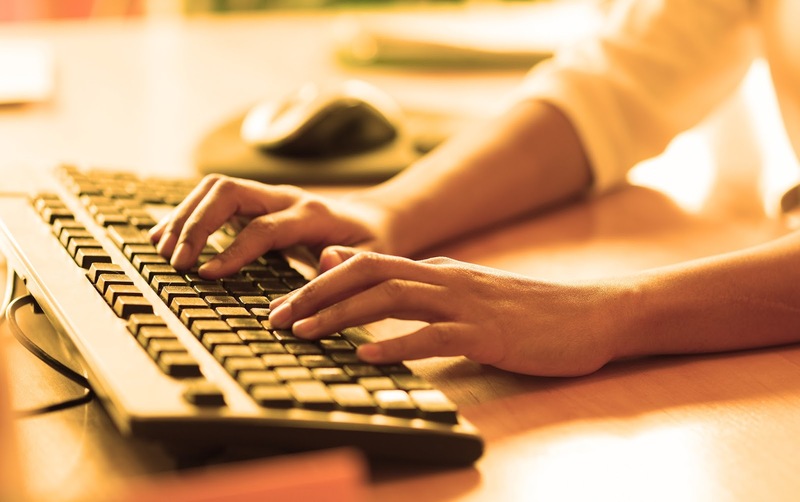 The fact that the enter key has to be hit several times means that a person would really need physical access to the computer in order to exploit the bug. If, however, a person has been granted remote access to the computer e.g. for tech support, the bug could technically be exploited that way. A malicious attack or breach from within a company by a person with physical access to computers is a real possibility for businesses and organisations. For example, where ‘malicious’ insider threats are concerned, research (Egress) shows that that 24% of workers have purposely shared information with competitors or new and previous employers and other entities. Insider leaks, breaches, and other threats can undermine company efforts to comply with data protection laws and protect competitive advantage, and can leave companies open to huge financial risks, loss of customers, and damage to their brands. Other security experts / commentators have been quick to criticise Mr Ergin for apparently not following the responsible disclosure guidelines typically observed by security professionals i.e. notifying Apple of the flaw first, thus giving them a reasonable amount of time to fix it before going public. It has been reported that Apple is working on a software update / fix for the bug, and in the meantime, Apple has offered users a temporary workaround. If your business has Apple Macs with MacOS High Sierra, and if you are too worried to wait for the patch, the workaround allows the Root user to set a password. Instructions for the workaround can be found on the Apple support site here: https://support.apple.com/en-us/HT204012 . Only last month Apple released a supplemental update for MacOS High Sierra which incorporated various bug fixes for Macs. This story illustrates how new software / operating systems are often released with bugs in them, many of which are usually discovered by security researchers, but it is worrying that users have been left vulnerable in this case to fairly serious threats by what is a simple (some would say embarrassing) fault. after only trading at $1,000 at the start of the year, with some experts saying it’s got further to climb. Bitcoin is a digital web-based currency that operates without the need for central banks and uses highly secure encryption (a crypto-currency) to regulate the currency units and to verify transfers of funds. Bitcoin, which was first produced in 2009, uses the ‘Blockchain’ technology. 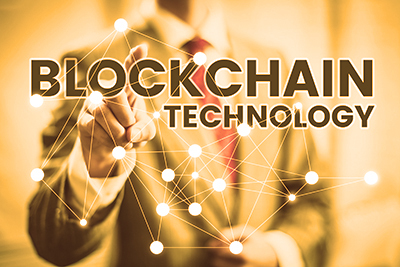 Blockchain is an open and programmable technology that can be used to record transactions for virtually anything of value that can be converted to code and is often referred to as a kind of ‘incorruptible ledger’. There are approximately 15 million Bitcoins in existence with a value that is estimated to have surpassed $167bn. In order to receive a Bitcoin, a user must have a Bitcoin address i.e. a 'purse' (of which there is no central register). Bitcoin may have experienced a surge in value over this year as a whole but the rise has been by no means smooth. The crypto-currency first managed to reach a value of $1,000 in late 2013, and after a volatile general rise found itself valued at $1,000 again at the beginning of this year. The surge in the last part of this year has been attributed to many to factors such as:An announcement this month that CME Group, a US-based derivatives marketplace operator, plans to launch a Bitcoin futures product in the very near future. The suspension of the Segwit2x project. The project aimed to create the SegWit2x Blockchain (the underlying code of Bitcoin), and a new currency referred to as B2X. The idea was to alter the underlying code to enable more transactions, but in practice software bugs and a lack of popularity that risked splitting the community has meant that SegWit2x has been shelved for now. A growing awareness of Bitcoin and its benefits, and of the general rise in its value over time boosting confidence in the crypto-currency and its value. Bitcoin has experienced many high profile bumps in the road on its rise in value. These include a decision by China to stop exchanges from trading in the crypto-currency earlier this year. The success of Bitcoin has helped to boost the popularity of virtual currencies generally. One example is Ethereum which was worth $10 at the beginning of the year and is now worth $480. Bitcoin is often the currency that ransomware scammers request their victims to pay with because of the anonymity that it offers. Some currency commentators have even suggested that the recent surge in the value of Bitcoin is partly because European banks may be buying Bitcoin to pay off ransomware as a short-term way to deal with cyber-security. The rise of crypto-currencies, such as Bitcoin, to the point where it was finally being taken up by investors, businesses and governments, has been filled with high profile ups and downs e.g. a fall in its value on the Tokyo-based Mt. Gox exchange following a hack in late 2013. Despite its problems and bad press, in recent years, Bitcoin has shown a general decrease in volatility. 2017 has also actually seen a lot of optimism for the crypto-currency, which reached a point back in January where its worth was around the same value as that of a FTSE 100 company. Bitcoin has many attractive advantages for businesses such as the speed and ease with which transactions can take place due to the lack of central bank and traditional currency control. Using Bitcoin also means that cross-border and global trading, and on the back of this latest milestone reached, it looks likely that the rise of Bitcoin is not over yet. cyber-criminals being given price points to set their ransoms at because now they know how much money they should be asking. The EU’s General Data Protection Regulation (GDPR) comes into force 25th May 2017. As part of the enforcement mechanism, a fine structure has been published to encourage compliance with the Regulation. The fine structure for GDPR is actually tiered depending upon the scope of the violation, but it has been published and widely publicised that lesser violations will attract fines of 2% of global turnover, and more serious violations will attract fines of up to €20 million, or 4% of their global turnover (whichever is greater). Researcher Mikko Hypponen has made the point, therefore, that these figures could give cyber-criminals who are using ransomware, or hackers stealing data, a price point to set the ransom at because now they know how much money they should be asking. Hypponen argues that because the criminals know what data is worth / what covering-up a data breach may be worth to some companies (probably large, well-known ones), these companies may be actually willing to pay anything less than the full amount of the fine to avoid serious damage to their reputation, loss of customers and more. According to Hypponen, ransoms could, therefore, be set at up to 2% or 3% of the targeted organisation’s global annual turnover. This could equate to millions of dollars in some cases. Taking one recent incident as an example, Hypponen’s predictions may not appear too far-fetched. HBO network was hacked and the hackers are reported to have demanded $5.5m for the release of the stolen data. Even though this sounds like a very large sum, it is still less than 2% or 3% of the company’s 2014 annual revenue. 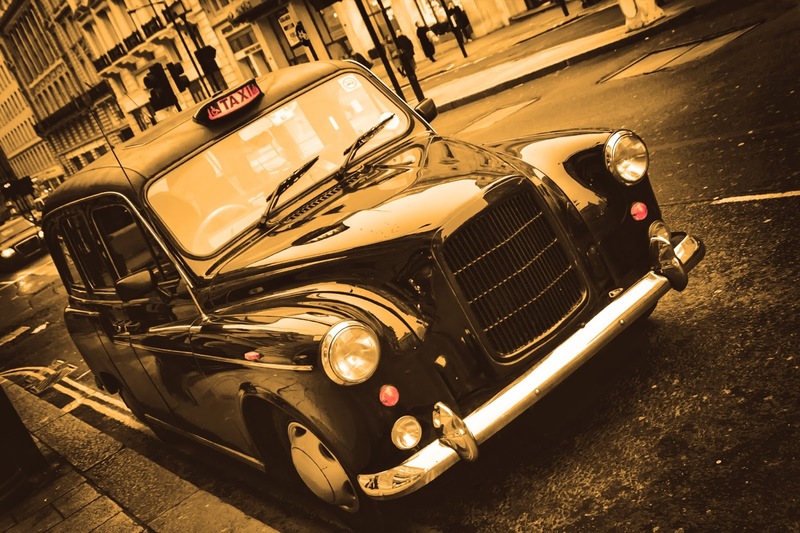 It is certainly possible that some companies would pay a ransom to keep a breach quiet as Uber were recently reported to have paid hackers $100,000 to delete the data from a hack that took place 2 years ago, and to keep quiet about it. Hypponen has, therefore predicted that, after the introduction of GDPR on May 25th 2018, companies (particularly large turnover ones) will be targeted by hackers for personal information, and will be given ransom demands that are close to GDPR fine levels. Another prediction of how cyber-criminals may use GDPR to their advantage is by hackers / scammers stealing data with advanced ransomware and then blackmailing the victims with the threat of reporting them to the data protection commissioner. This is because ransomware can affect the availability, access, and recovery of personal data. These things, as well as passing personal data to hackers via the ransomware are technically serious breaches of GDPR by the victim company. As well as hackers stealing data directly, ransomware is fast becoming the most popular way for cyber-criminals to make money, and is likely to be a greater threat after GDPR. The fact that it is automated and doesn’t require any special user rights to operate it makes it a popular choice, and an ideal way for criminals to sell data to the highest bidder (which is often the victim company). There are even reports that large companies / corporations and banks have been buying up stores of Bitcoin as a short-term way to deal with data breach / ransom-based cyber attacks. Where GDPR is concerned (especially with the pressure of the approaching deadline) many companies are seeing it as an opportunity to address possible data security / privacy loopholes that could leave them at the mercy of cyber attackers anyway, and to expand their ability to manage the use of data. GDPR could even be viewed as a way of developing a global standard for data protection, which could be an opportunity for businesses to offer products and services worldwide that comply with this standard. Quite apart from GDPR, businesses and organisations of all kinds should be trying to continuously improve their cyber resilience anyway. Ways that companies could protect themselves against hacking / ransomware threats include only giving users access to what they need and taking away admin privileges, backing up all critical files effectively and securely, and testing those backups to make sure that information can be restored in a usable form. One way in which companies could test their response to a live ransomware Trojan in their network is to plant dummy files in the network that should never be touched by legitimate users and act as alarms. Companies and organisations should also make sure that they have workable Business Continuity and Disaster Recovery Plans in place, and to be aware that paying hackers does not guarantee the return of stolen data, and could increase reputational damage if the public see this as a way of trying to hide a breach. that Blockchain technology could be used by the UK government as a more effective, efficient, and modern way to provide verification of the identities of citizens. Blockchain as being like “a big spreadsheet in the cloud that anyone can use, but no one can erase or modify”. Blockchain technology operates using the IBM cloud and is powered by Hyperledger Fabric 1.0 of Linux Foundation. The developers of the Blockchain system say that the trust between participants is not necessary because trust is embedded in the system itself, and that access to all relevant information is available to participants. Blockchain is the same technology behind the crypto-currency Bitcoin, and it is now being applied to multiple industries and sectors. The underlying issue for the government is that there are people living and working in the UK without a legal identity, thus making it difficult to monitor births, deaths, work, taxation and migration. Also, there are many different government departments which hold different and even contradictory versions of a person’s identity to a user-stored identity. There is also the issue that individuals don’t currently have access to their public service identity and, therefore, lack control of it, and can’t authorise who can see it. It is thought that among other benefits, a Blockchain-based system could shift more control from the government to the user. The Reform report argues that the current identity assurance platform, Gov.uk Verify, is not working as well as it could because of low uptake and departments such as HM Revenue & Customs (HMRC using their own service - Government Gateway). It has been reported that with Verify, departments often have to request and check additional data because Verify doesn’t always provide enough information, and the new system also struggles to match information with legacy systems. The idea of using Blockchain to help with identity verification was first publicly voiced by the government last August in relation to passports. The fact that nearly 20,000 British passports were either lost or stolen in 2016, and the resulting identity theft, coupled with the delays caused by inefficient passport checks led the government to think about the advantages of Blockchain. With Blockchain passports, for example, personal information could be encrypted and stored digitally on a smartphone accessible via fingerprint scanning. This could allow fast access through the border if verified alongside biometric information. A Blockhain passport of this kind could also reduce the risk of identity fraud and the information being lost or stolen. From the government’s point of view, a Blockchain app built across government departments, and acting as a layer on top of current databases, could be a more effective, efficient and secure way to verify the identities of citizens, make sure all databases have the same information and are automatically updated, and give us more control over who can see our identity details and in what form. For governments, businesses, and organisations around the world, Blockchain is providing many exciting new opportunities. Dubai, for example, has committed to putting all of its documents on Blockchain in the next few years and has founded a public-private initiative called the Global Blockchain Council to foster the development and use of Blockchain technology in and between local government teams, local businesses and international start-ups. Blockchain clearly has huge untapped potential for all kinds of businesses and could represent a major opportunity to improve services, and effectively tackle visibility, transparency and efficiency issues. will start its strategy of releasing more of the location data held by public bodies to help businesses and boost economic growth, by giving small businesses free access to OS MasterMap® data. It has been announced that the new £40m Geospatial Commission, sitting under the authority of the Cabinet Office, will release Ordnance Survey location data first to help boost business for small companies. Geospacial data in the context of this article refers to augmenting a geographic map with other data specific to points on that map, thereby enabling the added value of observations, analysis, and planning. It was first used in 1854 by John Snow, who plotted each cholera death in London’s Soho on a map, and from the mapped points was able to isolate a specific water pump as the source of the disease, and thereby prove his theory that cholera came from contact with sewage-contaminated water rather than being airborne. The announcement was made in Chancellor of the Exchequer, Philip Hammond’s latest budget. 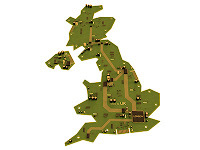 The wider intention is that Geospatial Commission will draw on public and private sector expertise to develop a strategy for releasing more of the location data that is currently held by HM Land Registry, the Ordnance Survey, the British Geological Survey, the Valuation Office Agency, the UK Hydrographic Office and the Coal Authority. The Commission will attempt to improve the links between and quality of the data held by the agencies and bring together and make it available to the public and private sector. The Commission will also aim to make more geospatial data available for free (without restriction), set regulations and policy for public geospatial data, hold the individual bodies to account for delivery against the geospatial strategy, and provide strategic leadership. The first stage of the 2 year strategy is to find a way to give small businesses free access to OS MasterMap® data. The OS MasterMap® is the database that records every fixed feature of Great Britain larger than a few metres in one continuous digital map. The map has different layers e.g. the Greenspace Layer (showing accessible and non-accessible green-spaces in urban areas - used to improve health and environment initiatives), and the Topography layer (to help with decisions about assets, services, environmental risks, customers and operations). Giving open access to OS MasterMap® (for small businesses first) will remove the legal barriers that currently limit the availability of other data e.g. foreign ownership of land, locations of parking spaces, house prices or business addresses. This will then give businesses access to the kind of data that is essential to understanding and tackling housing and transport challenges. More data about an area can make it easier to find land for house-building, and enable the development of services that improve vital infrastructure, and can help businesses to make better, more informed decisions about projects. Opening up access to government-held geospatial data could, therefore, stimulate innovation in the wider economy, boost jobs and make savings, as well as transforming information delivery and citizen engagement. The UK is in the midst of a housing crisis, particularly in social housing. Decades of failure to build enough new homes means that the UK is struggling to accommodate its growing population. The relatively small number of homes that are being built are generally not suitable for first time or low-income buyers, or the rental market. It is thought that geospatial data could be used to accurately, and remotely survey sites with information instantly available to virtually design houses bespoke to customer needs e.g. using prefabricated housing factories across the UK. The geospatial data could help quality factory built houses to be delivered right-first-time, on time and to budget. Opening up the many layers of government data and linking it to highly detailed digital maps can give businesses, particularly those involved with housing and infrastructure, the knowledge and tools to innovate, save money, and find new business opportunities. A boost for the housing market is good news for the economy, and if (as the government suggests) that the wider economy will get a boost from the work of and the investment in the new Geospatial Commission, then this is good news for all businesses. Since small businesses account for 99.3% of all private sector businesses, and SMEs account for 60% of all private sector employment in the UK (FSB), opening up the OS MasterMap® to small businesses seems a sensible first move in the Commission’s strategy.